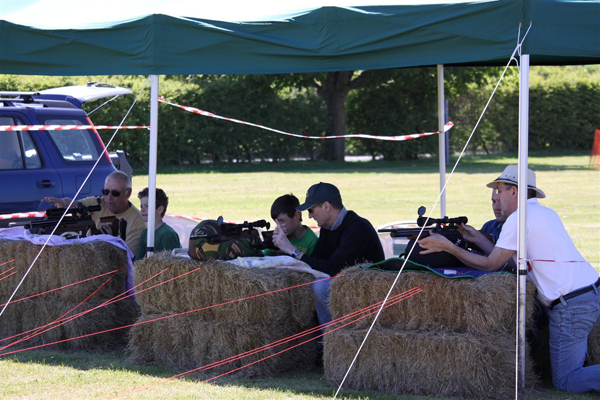 For many years PFTC has supported local events with the opportunity for their visitors to try something a little bit different – Air Rifle Target Shooting! There is no doubting the popularity of our stand at events, attracting young and old from both sexes, there is normally a queue throughout the day. 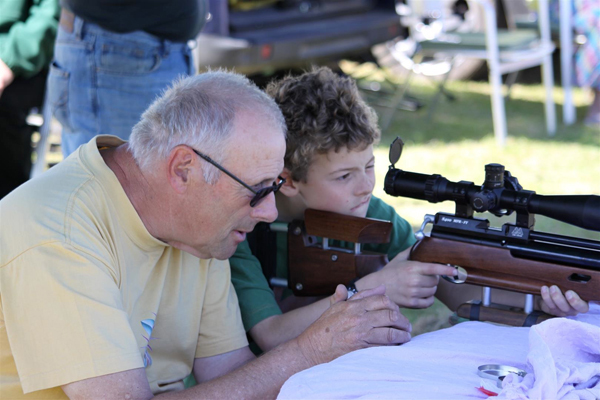 We have helped children as young as 7 through to adults of 87 enjoy the first time experience of firing an air rifle and, in almost all cases, the satisfaction of hitting the target! 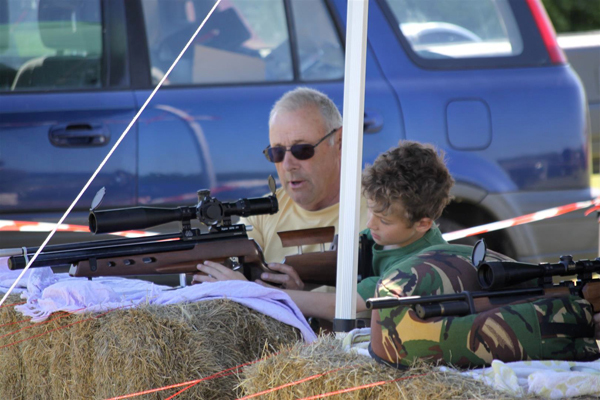 This interaction with the public is very good for promoting the club, raising the profile of the sport and dispelling some of the negativity surrounding airguns and what we actually shoot. If you are interested in us attending your event, then the following sets out our operational responsibilities and requirements. 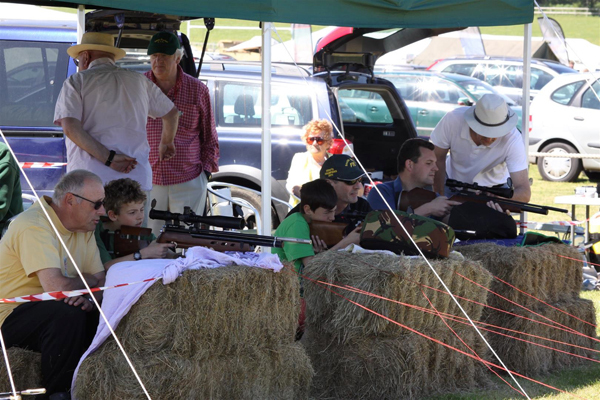 Purbeck Field Target Club is an affiliated member of and insured with ‘The National Small-bore Rifle Association’. This affiliation provides a Public Liability insurance of £10 million, which covers the shooting activities of its members and temporary members/guests, whilst either at or away from the club facilities. It is a requirement that participating visitors sign the visitor book to meet the policy conditions of temporary membership. 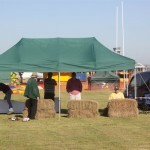 A copy of the insurance certificate will be displayed on the stand. Additional Public Liability insurance may be required to attend your event and will be discussed on an individual basis. One PFTC committee member will act as the ‘Senior Range Officer’ and all other attending members will act as ‘Safety Officers’ under the direction of the ‘Senior Range Officer’. We operate a ‘one club member to one air rifle’ policy. 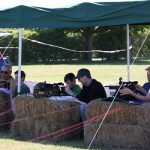 Each participating visitor is supervised individually and constantly, from entry through to exit of the shooting line. 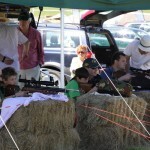 12-15 hay bales or other suitable tables & chairs – for use a rifle benches and backstops. We will need vehicular access close to the designated area for at least two vehicles to unload/load equipment at both set-up and breakdown. 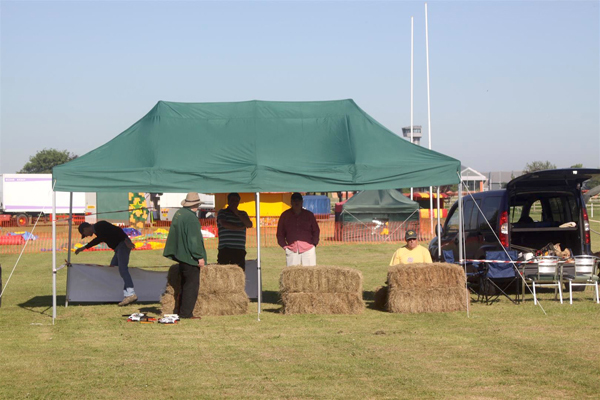 It takes the team 1½ hours to erect the gazebo, set up the range and shooting equipment, and ensure that all safety requirements have been met. Therefore, we normally ask for access to the area two hours prior to the opening of the event. 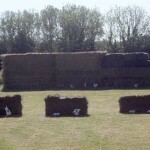 The supplied backstop, hay bales or tables & chairs will need to be available at the shooting area upon arrival. Breakdown is normally slightly quicker. The stand is usually manned by a least 6 PFTC members. 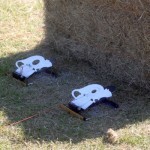 Each attending member is an experienced shooter with instructing/coaching skills. Reserved parking for up to six vehicles would be appreciated. If you have the image of a old fashioned iron sighted break barrel air rifle, of the likes found at a fairground, you might be somewhat surprised by its modern day equivalent. Under lever/break barrel spring action rifles are still very popular, but today’s sport of Field Target and Hunter Field Target shooting, is dominated by pre-charged pneumatic air rifles. With its own air chamber, topped up from a reservoir such as a diver’s air bottle, these rifles provide 50-100 completely recoilless shots from one fill. Add a telescopic sight and silencer and you have something infinitely more accurate and sophisticated that can run into a cost of thousands of pounds at the higher end. A selection of club PCP rifles will be available to visitors on the stand and some attending members kindly bring their personal equipment/rifles for use on the day. 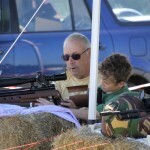 So, visitors get to see and use a really interesting cross section of modern air rifles. 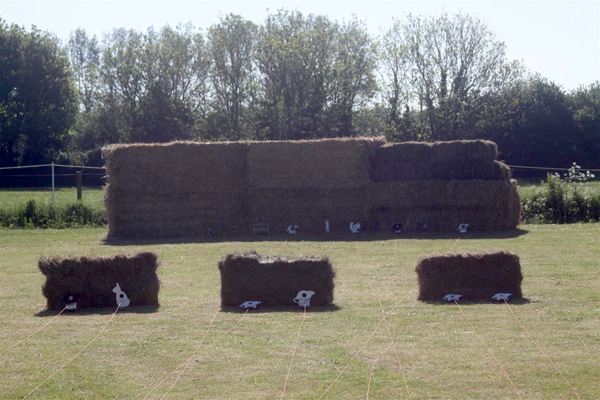 We normally operate four shooting lanes with three targets placed on the ground between 15 and 40 yards in each lane. 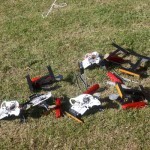 The targets are of metal construction, formed in the shape of small animals or birds. 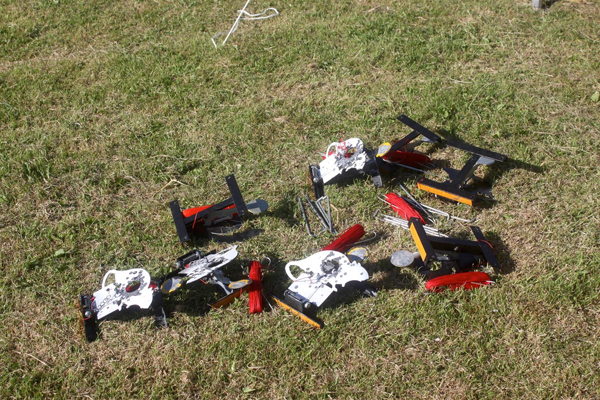 Each has a target plate, which is knocked over when hit and a second target plate that will reset the fallen plate when hit. Our guide is age eight, but, within reason, we will try not to disappoint if the child is keen and physically capable of supporting the weight of the rifle. Public access to the stand and to shoot is strictly controlled. No child/young person under the age of 18 will be given access to the stand, unless accompanied by a parent, carer or guardian. The parent, carer or guardian will be advised that they must remain at the stand whilst the child/young person is queuing or shooting. 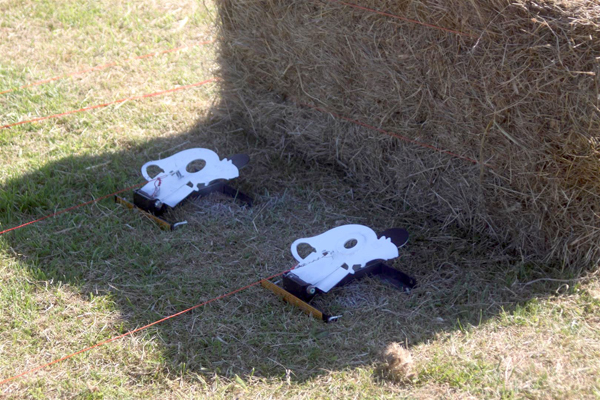 Zeroed at 25 yards, each air rifle is optimally set up for use by the novice shooter. This, combined with the one to one instruction, ensures that visitors enjoy a high success rate of hitting their targets. The sense of pride and satisfaction is clear to see and the feedback, extremely positive. 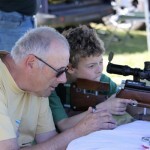 Each shooter will be shown how to safely handle, load, shoulder, take aim and fire the air rifle. The instructor will then assist with reloading between shots and coach as necessary. All shooters are constantly supervised whilst on the shooting lane. A charge of £1.50 for 10 shots is made for all ages. This is a not-for-profit activity of the club and no fee is levied for us to attend your event. Attending members volunteer their services on a free basis and cover all their own expenses of travel etc. All monies taken on the PFTC stand will be passed onto the event organiser, to add to the funds raised for the supported charitable cause. All monies taken on the PFTC stand will be retained by the club, as a contribution towards the cost of equipment, its maintenance and pellets. If you are happy with all of the above and wish to progress your interest, then the next stage is to arrange a site visit, so we can ensure the suitability of the designated area and discuss the finer detail. Please call me on 07814 683619 or e-mail psmills@outlook.com, if you have any further questions or wish to arrange a meeting.